We left Manila around 5:00 am and headed to Subic in Zambales to celebrate our mother’s 59th birthday for a beach escapade in no particular resort. With our van, travel time took us two and a half hours only. It was almost 7:30 am when we arrived at Subic Bay Freeport. We all hopped out and walked around at the first resort we visited. Unfortunately, no one from my buddies wants to stay here. We moved on to another and another resort, still, we can’t find a good one. It was almost 8:00 am and yet we can’t decide where to go. A roving security guard heard our conversation. He approached us and referred us Subic Sweet Water in Morong, Bataan. He gave us an exaggerated description of the beach. Though reluctant, we still decided to try it. He instructed us in getting there. Good thing my hubby who was behind the wheels was really good in finding the right direction. Though it was our first time in this place, it took us only twenty minutes to find the said resort. We passed by scenic routes of trees and rice-fields. As we were heading to the entrance we didn’t find any captivating view to look at. Was the guard telling the truth? 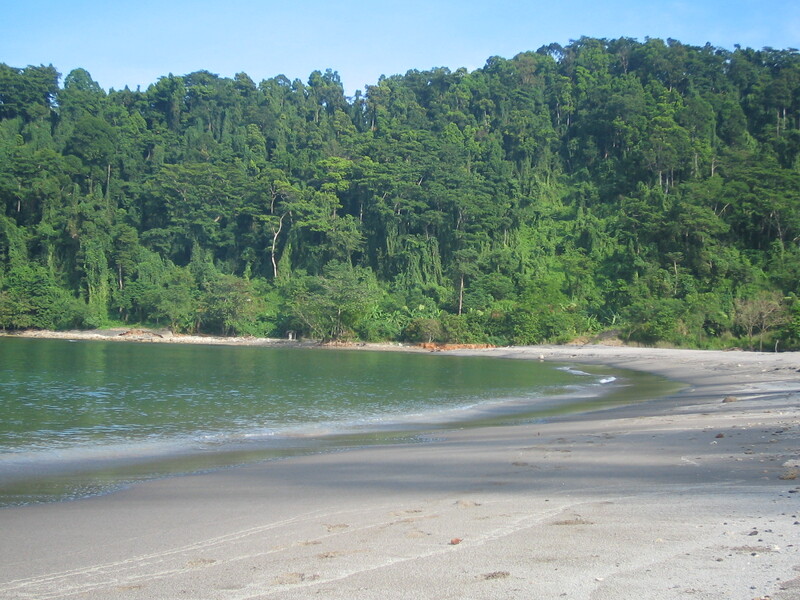 But when we entered the main resort, the initial dismay was brushed away as we saw a beautiful creamy-white sand beach. I was mesmerized looking at the blue and clear water. The serenity of the place made me nostalgic. We were lucky, because we had the place all by ourselves. We were approached by the resort staff and warmly accommodated us. 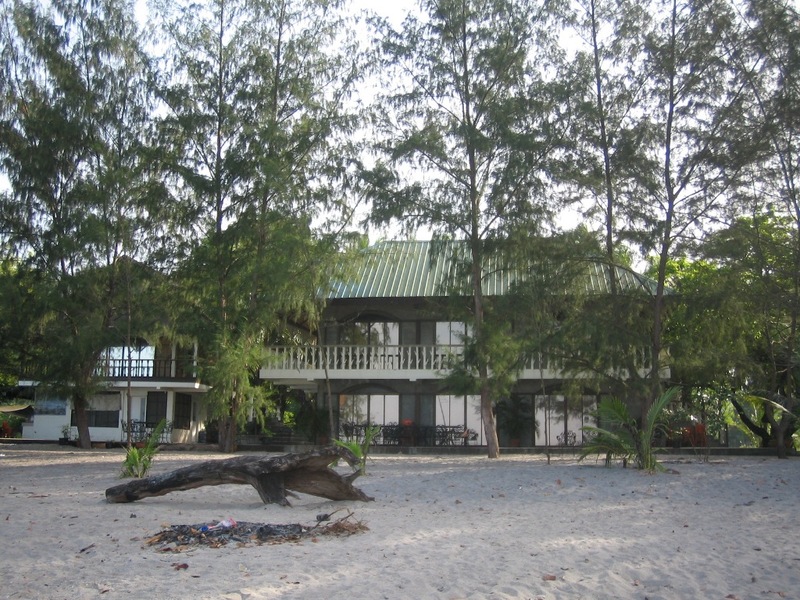 We chose the wooden cottage with roof in the beachfront and paid P1,700.00 and P100/head for the entrance fee. 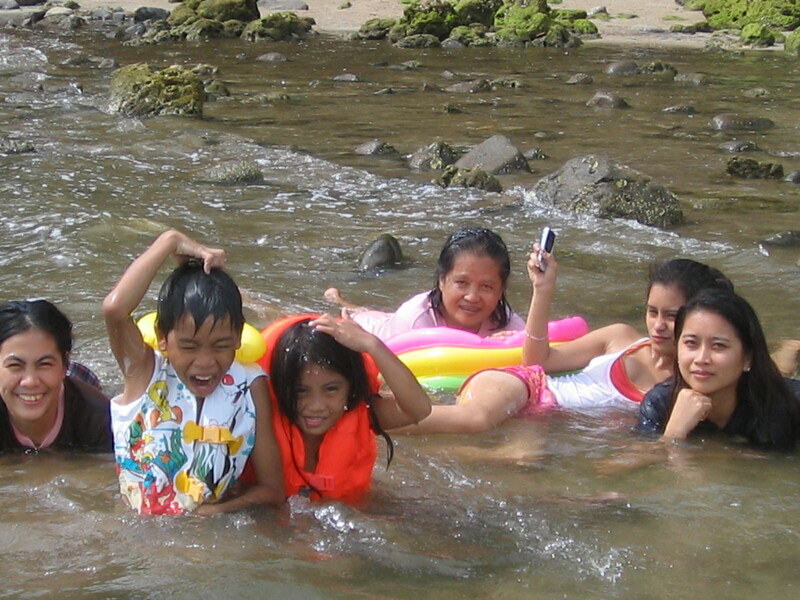 Our younger buddies, Pao, Mik, Isha, Magnus, Ax and my brother Choy were so excited and hastily changed their house dresses to swim wear. My one-year old little Shen who hates walking on the sand did not join them. She sat on the sand and watched her brother, uncle and cousins frolicked happily on the water. Hmmm… I’m sure she will love water adventure like us in her time. 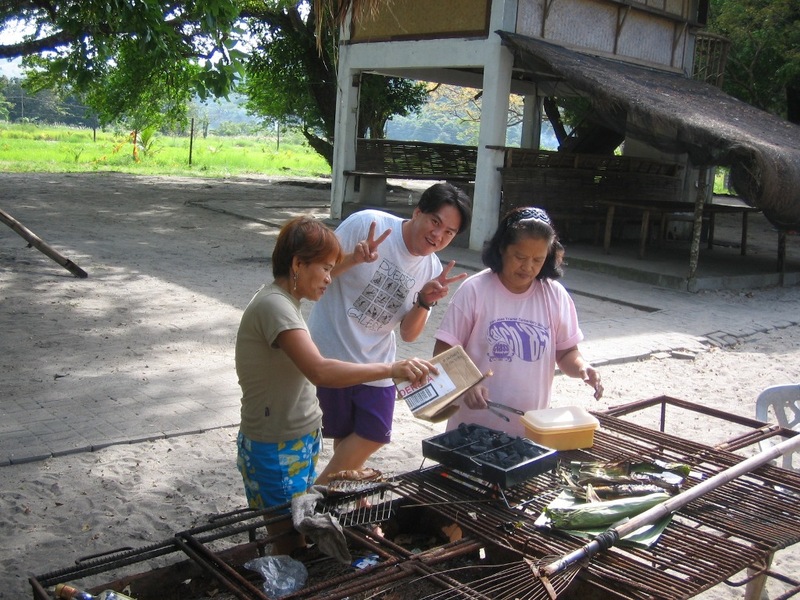 While they were busy on water activity, we the elders, grilled fish and pork liempo. After this was done, I walked around to savor the beauty and serenity of the beach. It was a beautiful place to commune with nature. Later, we settled for lunch. It was a heavy lunch that we had to rest for a while before we all dash to the water and have fun. Aside from swimming, we played volleyball under the scorching heat of the sun. Others had fun singing on videoke (P5 per song). By afternoon we all explored the Eastern side and swam for an hour. We headed back to the main swimming area to spend the remaining hours immersing our bodies to the clear water to our heart’s content. 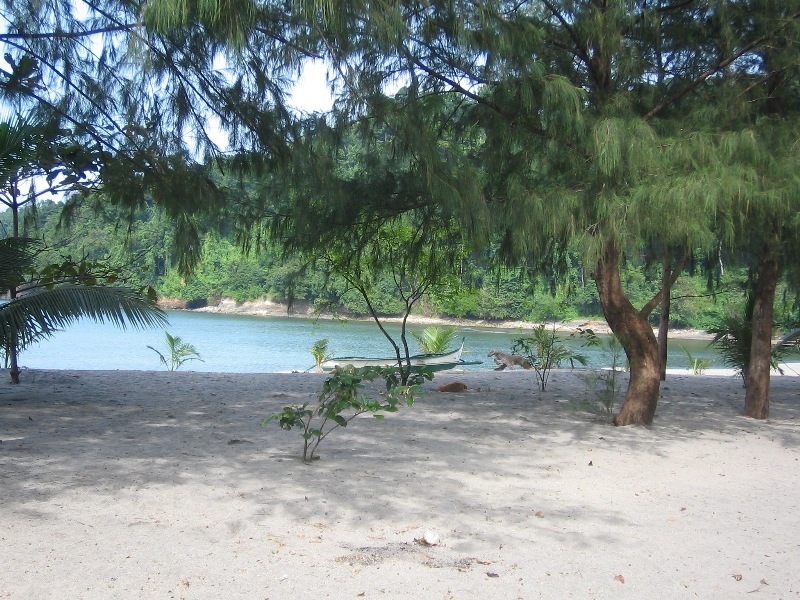 Month of November I guess, is an ideal month to spend a relaxing beach escapade in this resort. Not only that we took this day exclusively for us, the water was very calm and the weather was very cooperative. Bring the whole family and surely, everyone will enjoy. Like we did. The clear and shallow waters, calm and gentle waves, the stillness of the place and the hospitality of the staff made our family beach getaway a worthy one. 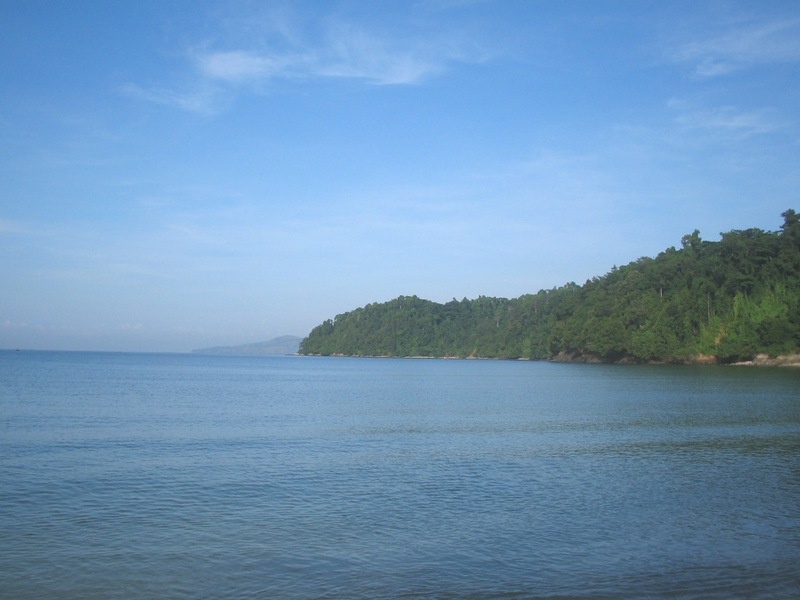 This entry was posted in Adventure, Bataan, Philippine Beaches, Philippine Islands, Philippine Travel and tagged Bataan, Morong by shadesandslippers. Bookmark the permalink. Hi. I saw your blog. How can I get the contact number of the person in charge? We are 18 people in the group. I would like to know if the house can accommodate us? We are looking at 3 days + 2 nights. April 29-May1. You may contact Mr. Paolo of the resort, +639182981078. Thanks for visiting my site! Balak ko po pumunta ng February 14, mag hapon lang. Magpa-reserve ako ng isang wooden cottage. 5 adults and 3 kids. please call or text me at 09162956051 Jhamel Wilson po here referred by Brian Cervantes. Please try to contact po Sir Paolo – 09182981078. Thanks for visiting my site. Inquire lang po kung available pa for reservation sa April14, 2017? Please try to call/text these contact numbers if still active: 09182981078 and 09333270500. Thanks for visiting my site. Kindly try these contact numbers is still active – 09182981078 and 09333270500. thanks for visiting my site. Hi. This is a very good review. Is this the same with Sweetwater Resort in Bataan? I’m not sure po if the same sila. Thanks for visiting my site. hi magkano po rooms per night? any contact number po na pwedeng tawagan? Please try to call/text these contact numbers if still active: 09182981078, 09333270500 and 09182981078. Thanks for visiting my site. Plano po namin mag punta dito sa may 23. Ano po saktong name ng resort at sakting address po. Thank you. Subic Sweet Water po and name ng resort sa Morong, Bataan. thanks for visiting my site. Inquire lang po, if available pa po ang May 21 for a day trip only. We plan to go to your place on May 21, 2017. Can you still accommodate 10 persons? Please try to call/text these contact numbers if still active: 09182981078, 09333270500, 09293055875 and 09178507292. Thanks for visiting my site. hi sir paolo galing na kmi sa sweet waters resort last year with my officemate gusto ko with my family dalhin ko jan kc super sarap mag swim pag malinis ang tubig we are plannining this march 31 sunday for 30 pax available po ba yng house na malaki day tour only? Please try this contact number of the resort if still active – 0918 298 1078. Thank you for visiting my site. inquire lang sana kami but we cannot contact the number,kindly check if it is still active.thank you. Please try this contact number of the resort if still active-0918 298 1078. Thank you for visiting my site.